Where will the Beast Incarnate land in 2019? The world of professional wrestling is always circled around speculations and rumors that somehow outline the future of the weeks that are going to transpire ahead. Ever since the inception of All Elite Wrestling, the fans are constantly monitoring the current speculations that are doing the rounds with many WWE Superstars wanting to make the transition to the independent scene. With Dean Ambrose being one of the tbiggest names rumored to join hands with Cody Rhodes and The Young Bucks, one wonders who else could join him after WrestleMania 35. There's no denying that everyone likes to be involved in one way or the other at the Grandest Stage of Them All, and while two main event bouts are already confirmed for the show, there are still others who are finding their own Road to WrestleMania. Since Vince McMahon certainly has a lot of plans for the visual extravaganza, many speculations surrounding the Showcase of the Immortals are making waves in the professional wrestling world. So, without further ado, let's dive deep and analyze the 5 biggest rumors surrounding WrestleMania 35. Brock Lesnar is one of the biggest superstars to have ever graced the squared circle under the experiential supervision of Vince McMahon. The Beast Incarnate is widely hailed as one of the top priorities in Vince McMahon's billion dollar company and his lucrative contract is a testament to his super-stardom. However, with All Elite Wrestling vowing to change the entire complexion of professional wrestling, the Mayor of Suplex City is also a rumored name to be considering a massive offer from Tony Khan's new venture. The former UFC Heavyweight Champion is rumored to drop the Universal belt to the Architect Seth Rollins at WrestleMania 35. 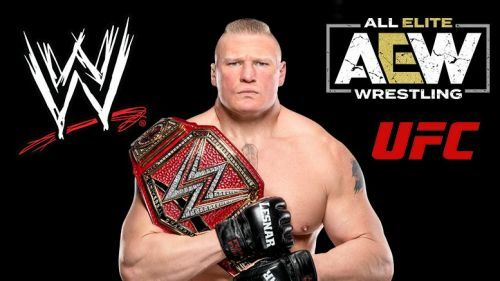 So, what do you think, will Lesnar be interested in changing the world with AEW? 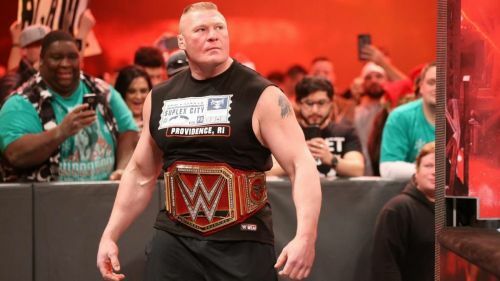 Considering that Mr. McMahon has always been a huge endorser of keeping the Universal Champion around, many reliable publications have stated that the Boss would do everything in his power to secure Lesnar's services even after the Grandest Stage of Them All in New Jersey.